Providing the best Geriatric Care Management service in the Twin Cities. We are your advocate. We customize our services to each of our clients' unique needs. We provide an objective assessment of current strengths, needs, and goals, including functional, health, and cognitive statuses, legal and financial planning, and home safety. We create a tailored care plan that includes recommendations regarding medical and health care issues, senior community resources, housing options, financial and legal planning, and more. We advocate with health care and service providers to ensure understanding and approval of the treatment and approach provided. We ensure that communication between all parties involved is relayed in a timely and accurate manner. We know that life doesn’t happen just between 8 am and 5 pm Monday through Friday. Each client has direct access to their primary Care Manager 24 hours a day, seven days a week for crisis situations. We provide support and coaching specifically for caregivers. We work with caregivers to identify coping strategies for their changing roles and responsibilities and ways to avoid burn-out. We are the “eyes and ears” for family members, providing timely information that allows them to be involved when they can’t be present. We identify appropriate services and providers. Our referrals and recommendations come from years of expertise and experience, not from a list of commission fee based incentives. We facilitate family meetings regarding care, enabling families to reach consensus and caregiving solutions, even when family dynamics are difficult or strained. We advocate with doctors to ensure understanding and approval of the treatment and approach provided. 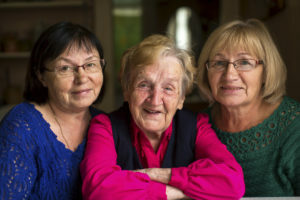 We research, evaluate and arrange for senior living options, such as: assisted livings communities, residential care homes, long term care facilities, and memory care. We provide you with the least restrictive options and ensure that no more services than are needed are recommended. We coordinate moving including out of state transitions. We complete, review and assist with organization and submission of long term care and health insurance claims, forms, and medical bills to ensure our clients are maximizing their benefits and potentially saving costs. An annual subscription program for those who want to be prepared for an emergency situation. This affordable program includes: a Care Manager available for emergencies 24/7, quarterly check ins, a yearly in-person visit and an in-depth file is kept up-to-date. Enjoy peace of mind knowing you have a Pathfinder Care Manager available and ready to support, guide and advocate. Call us to learn more at 612-729-9096!